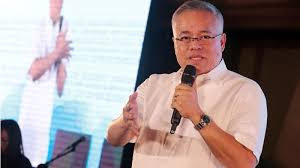 Manila — At the first Logistics Services Philippines Conference held on 6 December, Department of Trade and Industry (DTI) Secretary Ramon Lopez revealed that there are more job opportunities in the domestic trucking industry, which has expanded so fast because of the country’s growing economy. 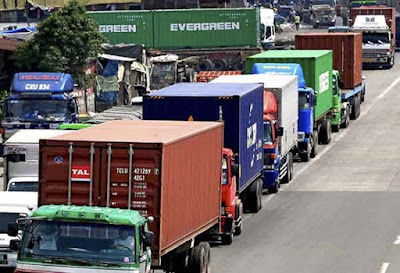 “The growing investments in the country, especially in the manufacturing sector, increased the demand for trucking, shipping, and other logistics services. Many have invested in these sectors and are now looking for people to be part of their operations. This means more jobs for our people,” said Sec. Lopez. During the event's press conference, Marilyn Alberto, President of the Philippine Multimodal Transport and Logistics Association, Inc. (PMTLAI), shared that there is now a shortage of drivers and truck helpers in the country. Sec. Lopez said that those interested to join the workforce can get training from the Academy of Developmental Logistics, Inc., led by Sam Bautista, and the Technical Education and Skills Development Authority (TESDA). “It is a given that you have to train well to provide good service. But the opportunity is there, we just have to let the people know so we can link them to the proper training institutions,” said Sec. Lopez. Nestor Felicio, President of the Supply Chain Management of the Philippines (SCMAP), agreed with the Secretary’s assessment and said that proper training is required before one enters the trucking business. “Not everyone can put up a trucking company; it’s about effectiveness. We’re willing to pay for quality service and choose good and reliable truckers,” said Felicio. SCMAP is composed of companies that avail trucking and logistics services. The two-day conference, which was themed “Trabaho and Negosyo: Creating Opportunities in the Logistics Services Sector,” gathered around 500 participants from the logistics services industry, government sector, and development partners. "Logistics is the lifeblood of businesses and the economy as a whole. And as our manufacturing industry grows, the demand for logistics services grows with it,” said Sec. Lopez. The conference, organized by the DTI and the Board of Investments (BOI), was attended by stakeholders from the public and private sectors. The highlight of the event is the presentation of the Ten Commitments of the Philippine Logistics Services Sector. The DTI Secretary also enjoined the stakeholders to follow through with the solutions to issues that came up during the summit. Sec Lopez said that the overall goal is to lower the cost of logistics in our country, since according to the policy brief, logistics cost in the Philippines comprised 27.16% of total sales, higher than other ASEAN countries like Indonesia (21.40%), Vietnam (16.30%), and Thailand (11.11%). “This can be done with the ongoing aggressive infrastructure development program of the Duterte administration, the hard and soft infrastructure development, more capacity building and training, and working on addressing the various regulatory frameworks that affects logistics competitiveness and efficiencies,” Sec. Lopez said. The trucking industry should also provide high rates to entice employees to join logistics company in the Philippines.